Kim’s baby shower for kiddo number 4 is inspired by the famous mum’s way-too-busy life. Kim spoke to E! News about how especially important a baby shower is when you’re using a gestational carrier. “When you have a surrogate, for me, I realized that having a baby shower for Chi was actually so much more beneficial for my kids, because they saw people come,” Kim explained. 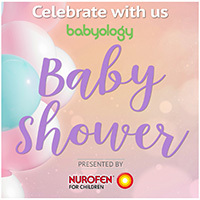 Because Kim didn’t navigate a pregnancy herself, a shower is part of the process of welcoming a new little inductee to the family. That said, Kim’s busier than ever and keen to theme her shower around de-stressing, pampering and booze! “This year, because I am freaking out so much, I just want a zen-like CBD-themed baby shower,” she said. What even is CBD we hear you ask. “CBD is an anti-inflammatory that has been known to reduce anxiety and stress,” Kourtney Kardashian says. We sniff a whopping hint of sponsored mention here, guys! What else do we know about the next little Kardashian-West addition? Well, we know that so far there’s just one name on the list for the little one and that’s … ROB! “I was Googling Armenian boys’ names last night, and I couldn’t really find anything,” Kim said over the weekend. (The Kardashians have Armenian heritage). “My brother approved it, so that’s like our one kind of name,” Kim said. Rob is the name of Kim, Kourtney, Khloé and Rob’s late father too so it’s extra significant.